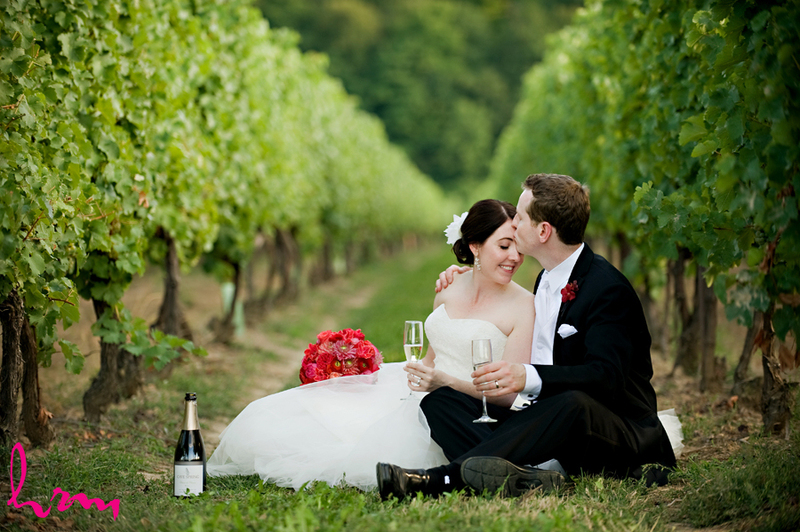 Toronto bride Sonia sent me photos of her elegant, late-summer winery wedding. Sonia and Nick tied the knot in Jordan, ON (Niagara Wine Region) in a beautiful vineyard wedding ceremony which took place at Cave Spring Winery. The reception was held at Inn On The Twenty. Sonia’s attention to detail is impeccable. Her bridal style: modern elegance with a touch of vintage flare and hint of edgy bad-girl underneath it all. 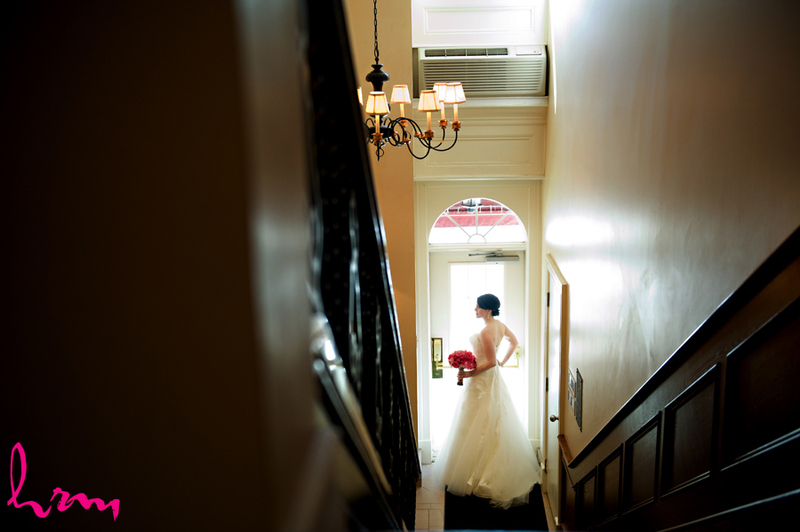 I just love that she paired her pretty wedding gown with those fierce studded red stilettos! I’m honoured that this sophisticated bride chose me to make her bridal jewellery accessories. Sonia came to my store with a general style aesthetic for her wedding and a photo of her wedding dress. She fell in love with a lovely Keshi pearl and Swarovski crystal bracelet from my ready-to-wear ‘Glam Bridal’ jewellery collection. To compliment the bracelet, I made for her a pair of gorgeous cascade dangle earrings dripping with luxurious pearls and Swarovski crystals. They looked incredible on her! Whether you’re getting married and looking for some real wedding inspiration or just like looking at beautiful wedding photos, I hope you enjoy these as much as I did. Thanks to Sonia and Nick for sharing their big day with us. This real wedding inspiration blog post showcases beautiful wedding photography by Heather McEachern & Niki Patel of HRM Photography. Custom made bridal jewellery by Maja P. Kogut, Zoran Designs Jewellery - serving Hamilton, Toronto & Niagara area brides and beyond! Featured bridal earrings can be purchased from our online shop by following this link. Serving Hamilton, Toronto, Niagara area brides and beyond!